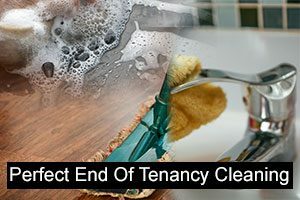 If you are about to change your tenancy soon, have a look at our excellent and at the same time affordable end of tenancy cleaning services, available through Vauxhall. Instead of putting your deposit at risk, hire a couple of our hard working and disciplined cleaners to carry out a deep and thorough cleaning everywhere in your leased property. We are a reliable cleaning company and our end of tenancy cleaning services are the perfect solution for every tenant. With us you don’t need to worry about efficiency because we are cleaning post tenants for a long time already and until now we have never failed to deliver the desired level of cleanliness. All cleaners in our team are professionally trained and supplied with the most modern cleaning equipment. Being fully committed to their job, they will search for dirt in every corner of your property. With them your deposit is in good hands because they are able to eliminate all kind of persistent grime deposits. Choose our company and we will help you to return the property to your landlord in perfect condition and keep the full amount of your deposit. Give us a chance and you will see that we are a trustworthy cleaning company. Especially for the needs of our clients, we have designed a package that includes a deep cleaning of every area in a leased property. In our service is included degreasing the kitchen, sanitising the bathroom, hoovering the carpets, washing the hard floors, cleaning the windows, polishing the door frames, dusting, and much more. If you are searching for professional end of tenancy cleaning services in Vauxhall, you are welcome to turn to us. Give us a call and our customer care agents will tell you everything you need to know about our company. The area of Vauxhall is a mixture of commercial and residential premises and is located in the south-west of London in the London Borough of Lambeth. Until the late 20th century it consisted mainly of business premises for the local railway and the homes of the manual workers which contrasted with the population and occupants of neighbouring areas such as Westminster which were of a higher professional occupations. The area was became known by its current name only after the Vauxhall Pleasure Gardens were open for the public. The name of the district originates from Falkes de Breaute who was the head of mercenaries during the reign of King John. He owned a large house known as Faulke’s Hall which later evolved into Vauxhall. The name is also often associated with the Vauxhall Motors manufacturers, who were indeed originally based there when they were first established in 1857. Its combined structure of having both many industrial and residential premises and offices makes this area desirable to many as you can work near your home. Every tenant would like to receive their security deposit just like every landlord would like to ensure a high standard of hygiene for the new occupants. For this reason, professional end of tenancy cleaning is beneficial for both sides. There are many cleaning companies in Vauxhall to provide you with such a cleaning service but if you want to be sure that your leased property will be very well taken care of, turn to us. We have wealth of experience in the area. Our cleaners will be moving from room to room, leaving even hard-to-reach corners free of grime. Working with us saves you time and money but mostly gives you peace of mind.